Your name is Shuhrat (« shu rat »), you come from the eastern part of a very eastern country, Uzbekistan. Why did you once decide to leave Uzbekistan? -Well, I didn’t leave my country! I’m just travelling and discovering the world. -I had friends studying in Poland. I found out they have good prices for education, and good life standards. I also felt that I could learn easily another slavic language, as I already knew the russian language. Moreover, a visa for Poland is easier to get than for Germany, for the U.K or for the U.S.
-Shuhrat, can you tell us about your country: geographically, historically and maybe politically too? -Uzbekistan is the result of merging three emirates, from the West to the East: Khiva, Bukhara and Kokan. Actually, originally it was part of a much larger area, the Turkistan Empire. Later on, Russian conquered the three emirates. -So you come from formerly named Kokan region, correct? -Yes, correct. We call it Fergana valley. It’s the most populated and developed part of Uzbekistan. But we also have other inhabitants like wild boars and white siberian tigers (but don’t worry, they stay in reservations). -What kind of differences or contrasts do you see in the Uzbek society nowadays? -You have seen probably how strong is the connection, here in Poland, between the Catholic church and the State. What about Uzbekistan? What kind of relationship or influence is there between religion and government? 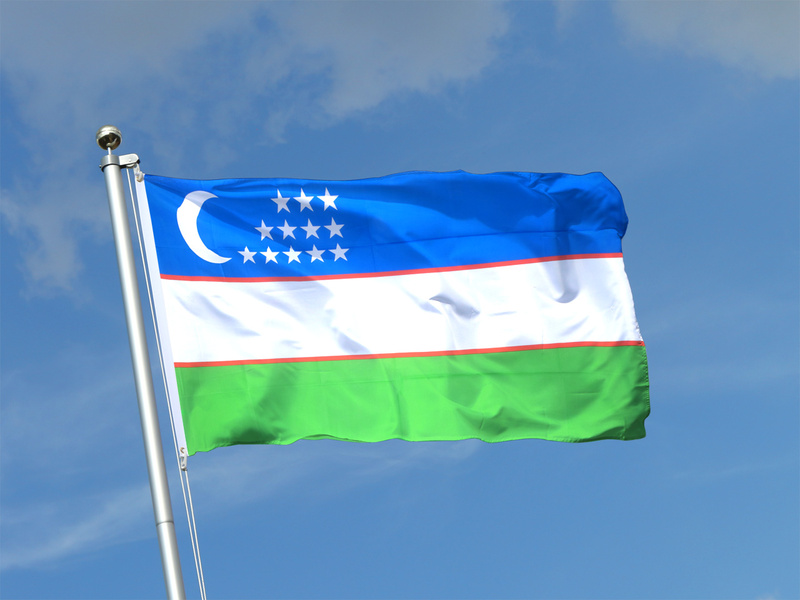 -The Uzbek government is secular. The State stays away from religious matters. We have freedom of spiritual belief. No promotion of religious ideas is done at State level. -Ok, but reversely, does some religions, like Islam, influence the regime? -We have uniforms at work and at university. No prayer at work in public companies. And no religious signs are tolerated, not even beard during work time. But if you have holidays, you can stop shaving in Uzbekistan too!! -Turkmen are also secular. Tadjiks are the most religious, and you can see religious signs (beard, cover…) At people’s level, from the most to the least religious you have Tadjiks, then Turkmens, followed by Uzbeks (less religious than the previous), then the Kirgiz and finally the Kazakhs. -Thank you, professor Shuhrat 😉 How would you describe your country’s relationship with your neighbors? -First, Uzbekistan’s strategy looks a bit like Switzerland, in terms of neutrality. But let me tell you about a war back in 2010. It was triggered by « Center » (Moscow in local language). They came to Kirgizistan and made them blame the Uzbek community there for controlling the economy in urban areas. The message from Moscow to Kirgizistan was somehow like: « why don’t you take control of your cities? » Kirgiz people got some fake US dollars and also got weapons. Then they went to war. The gossip says there were actually two triggers: Russia for political motivation and anger spreading, and America at a business level (weapons). -So what finally happened? What was the consequence for Uzbekistan? -The Uzbek community left Kirgizistan. In our country they were just admitted as war refugees. But they remained Kirgiz citizens and still are. Russia waited for Uzbekistan to interfere, officially in order to « save » both countries. After that event, Kirgizistan took back the refugees, after apologizing. In fact, the Uzbek minority was needed in order to run the local Kirgiz economy. -Could you rank your relationship with surrounding countries? -Sure: our best partner is Kazakhstan, followed by Turkmenistan, Kirgizistan and Tadjikistan. -Is there something wrong with the last country that you mentioned? -Well, they’re building a power station with the waters of Amudaria river. Big dams and downstream, that is in Uzbekistan, less water than before, and a potential disaster if it collapses. -How would you define your country to some one just not knowing anything about it? -Uzbekistan is a paradise on Earth, having peace loving people and nourishing soil and the three bounding cities of the Silk Road (Samarkand, Bukhara and Khiva). We kept our traditions like weddings, clothing, food and of course, education! -What do you mean about Uzbek education? Is there something special about schools and universities or are you thinking about how it’s done at home? -Of course, at home! The way of educating children at home. Government can be changed many times but the education at families level stays the same. There is a saying: « for one child, seven ‘Mahallas’ (small districts) » are parents. In other words, not only parents educate children but also neighbors, actually everyone in the district!! -Oh, you know what? In France and probably beyond, « street education » really does not have a good reputation. What do you think about this? -Well, there is a huge difference between street education and Mahalla’s! We also have street education and it doesn’t have a good image either… But when we say Mahalla, we think of elderly people, reknown people whom we can never disrespect. -One last question: about terrorism, what would you say? -Well, of course there are Uzbek terrorists, but they don’t leave in Uzbekistan. It’s because we have Mahalla!